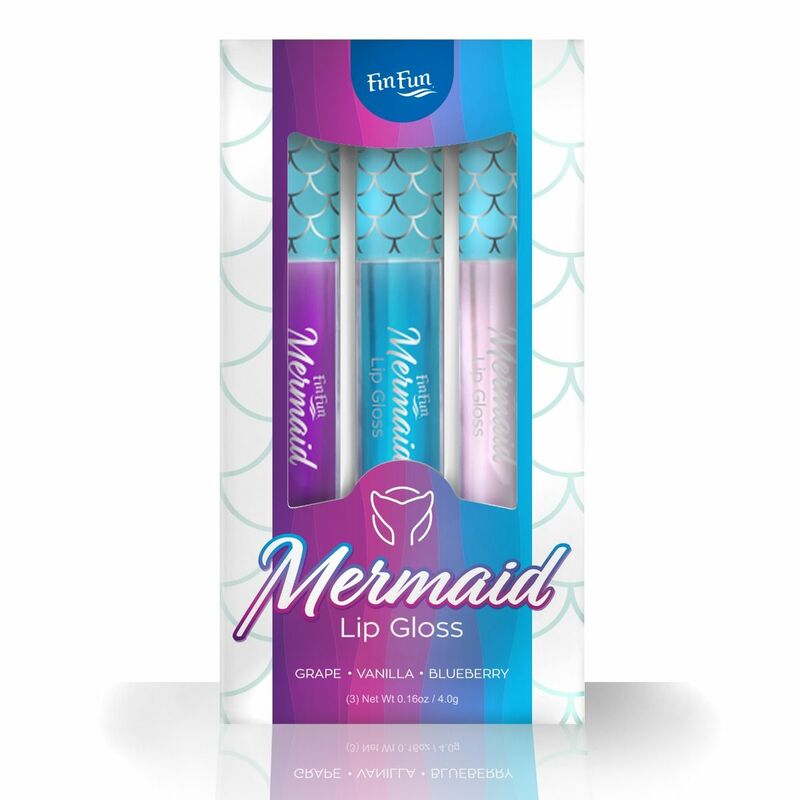 Fin Fun’s newly created lip gloss set features three yummy flavors in blueberry, vanilla, and grape packaged in mermaid style! Every mermaid at heart needs to add this 3-pack of lip gloss to her beauty regimen. 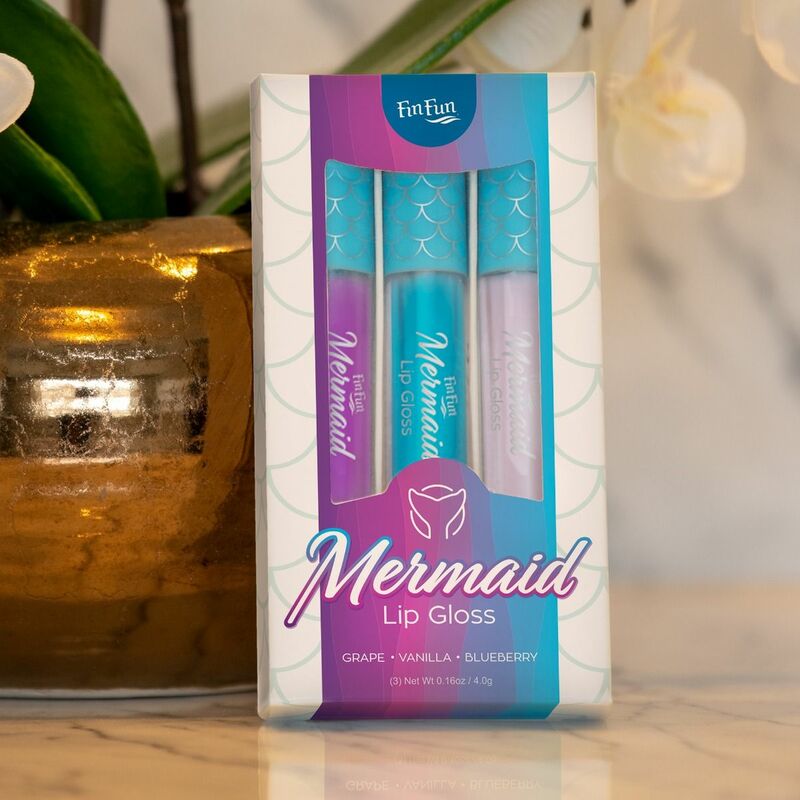 It’s the mermaid lip gloss set you’ve been waiting for and it contains all your favorite flavors! Scented and flavored with vanilla, blueberry, and grape—this 3-flavor set features a classic blue mermaid-scale applicator wand that’s unmistakably Fin Fun! It’s the perfect beauty find that also makes a great gift for any occasion.